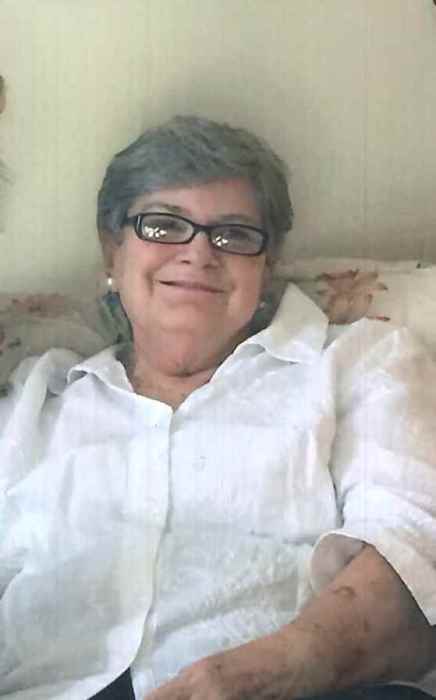 ELLAVILLE, GA --- Mrs. Nancy Louise Ray, age 73, died Sunday, April 1, 2018 at Phoebe Putney Memorial Hospital. Funeral services will be held at 2:00 PM Thursday, April 5, 2018 at Shiloh Baptist Church with burial to follow in the church cemetery. Rev. Andrew Stucker will officiate. Pallbearers will include Garry Greene, Johnny Chris Heath, Jack Carver, Steve Ray, Kent Chipman and Marvin Davis Jr.
Mrs. Ray was born January 25, 1945 in Sumter County, GA, the daughter of James Alex Davis Sr. and Mary Richards Davis. She had worked at the Tog Shop as an inspector. Mrs. Ray was also a homemaker who enjoyed going to thrift stores, shopping at Belks and watching shopping channels. She also liked cruising and playing Sudoku. Mrs. Ray was a member of Shiloh Baptist Church. Mrs. Ray is survived by two daughters, Mary Ann Pollock and husband Chris of Leesburg, GA, and Lisa Romiti of Ellaville, GA; brother, Hayward Davis of Americus, GA; sister, Charlotte Greene of Ellaville; sister in law, Eleanor Davis of Leesburg, GA; brother in law, Bill Ray and wife Mary of Zephyrhills, FL. Also surviving are three grandchildren, Riley Ray Romiti, Brandi Crowley and husband Vance, Hannah Hardie; two great grandchildren, Laith Crowley, Mckenzie Tidwell; special friend, Dakota Anthony; and her dog, Bella Ray. In addition to her parents, Mrs. Ray was preceded in death by her husband, Bob Ray; brothers, Junior Davis, Bud Davis, Harold Davis, Elton Davis; sisters, Doris McCrary, Lorene Murray and Jean Heath. Visitation will be held from 6:00 until 8:00 on Wednesday, April 4, 2018 at Watson-Giddens Funeral Home in Ellaville, GA. In lieu of flowers, memorial contributions may be made to LifeLink Foundation, Attn: LifeLink Legacy Fund, 9661 Delaney Creek Boulevard, Tampa, Florida 33619.